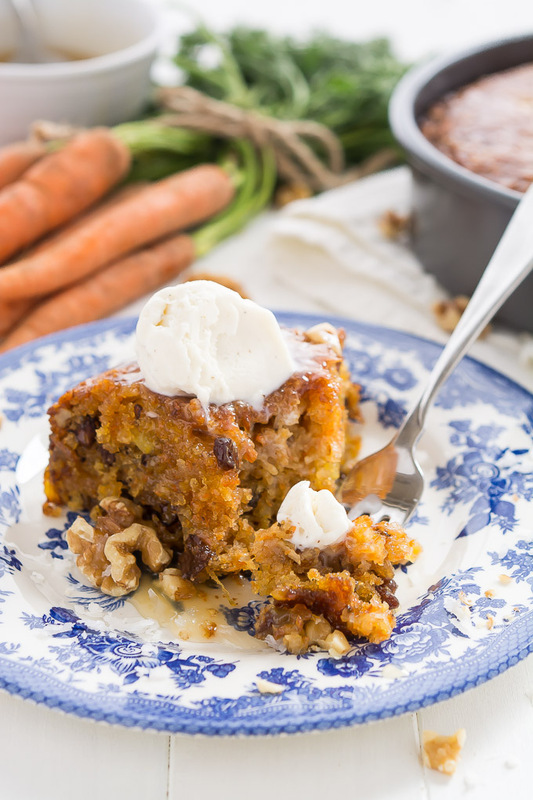 If you thought carrot cake with cream cheese frosting was good, wait until you try this delicious Warm Caramel Carrot Cake à la mode! It’s mind-blowing! My almost two-year-old has been in love with “Frozen” so the songs are constantly stuck in my head. “Let it Go” is Carly’s favorite song and she walks around the house singing it often. It’s actually been a good reminder to me to “let it go” and chill out… especially when Carly starts the day with white pants and ends with brown ones. They are just pants and it’s more important that she has fun… plus Oxy Clean works great! She gets a little dirty, but at least she’s not like some of the boys at the park who were taking bottles of sand and pouring them down the slide as they slid down, and then they took off their socks and started filling them with sand. Not sure if I could let that one go. And this recipe, don’t let it go! Oh my gosh, you’ll think you died and went straight to heaven when you try this baby. 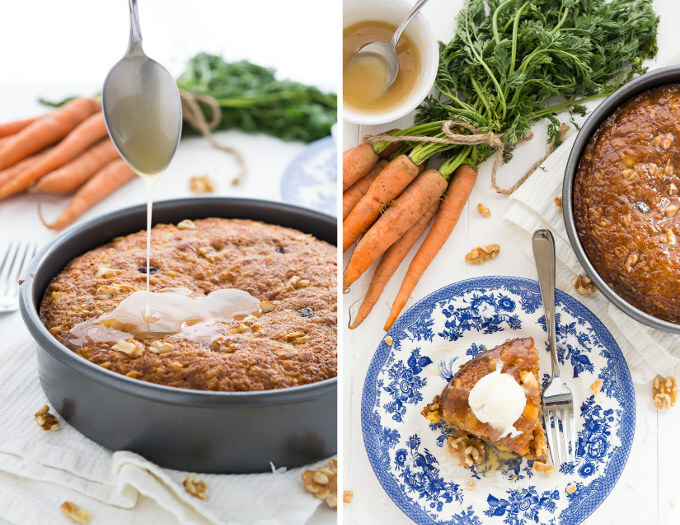 I love carrot cake with cream cheese frosting but have you had carrot cake warm? Game changer!!! Plus, this has a caramel syrup that seeps into the moist cake and tastes absolutely amazing with a scoop of ice cream on top. 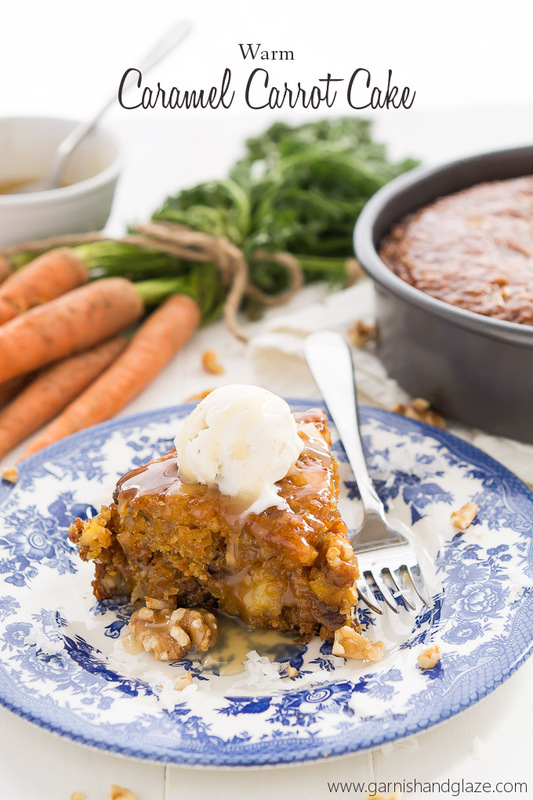 Just imagine: A warm, moist, flavorful carrot cake soaked in homemade caramel syrup with ice cream melting on top mixing in with the caramel. Heaven! Would you look at that delicious caramel syrup?!? It’s pretty much just like this buttermilk syrup that tastes amazing on waffles, pancakes, french toast… and now cake! Who would have thought?! 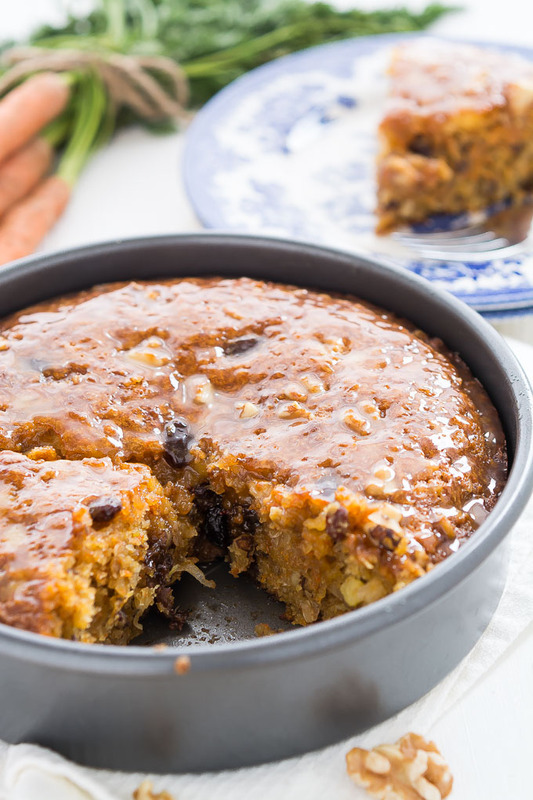 This cake is super moist thanks to the finely shredded carrots, pineapple, and oil. 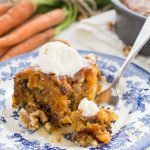 I love that it has so much texture from the walnuts, raisins, coconut, and carrots. 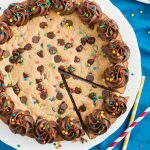 So much goodness in this cake! And since it’s got carrots in it it’s healthy right?! Just kidding. But I did eat it for lunch the other day. Blogging has its perks! 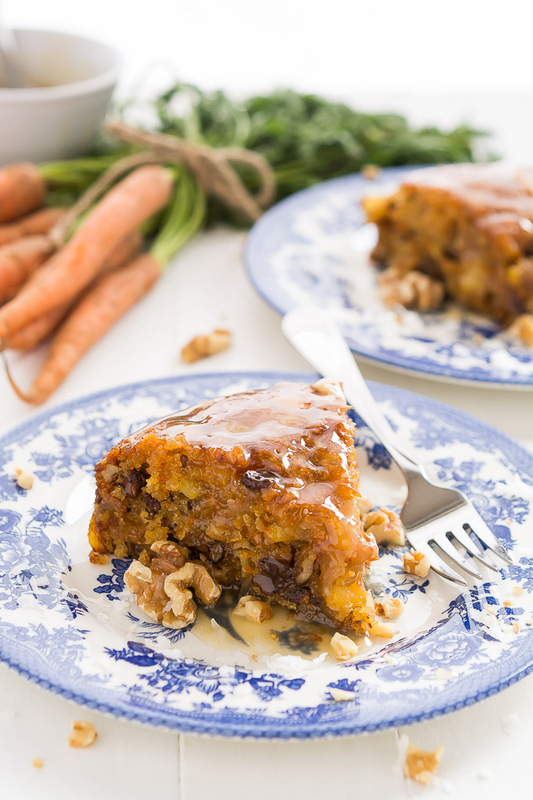 You are sure to impress your family at Easter dinner with this Warm Caramel Carrot Cake. You can easily double the recipe and cook it in two round pans or in one 9x13 inch baking dish. Increase cooking from to 40-50 minutes or until toothpick comes out clean. Preheat oven to 350 degrees F (set to 325 if using a dark colored pan). Grease a 9-inch round cake pan with cooking spray. Mix sugar, oil, eggs, and vanilla together in a bowl and set aside. In a large mixing bowl, mix the flour, baking soda, baking powder, salt, and cinnamon together. 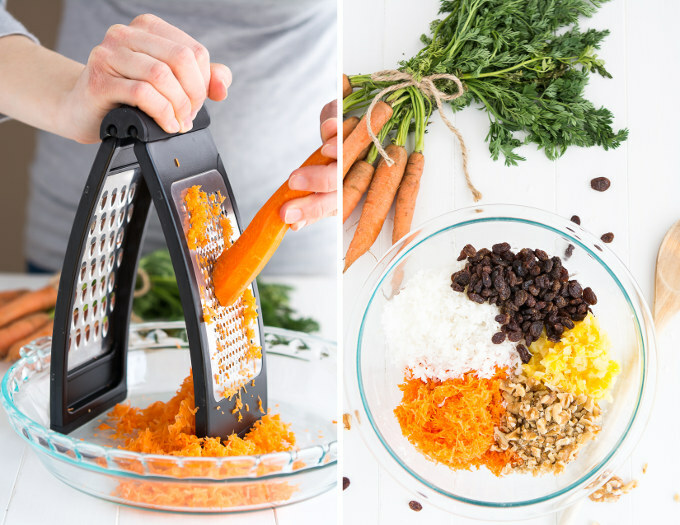 Add the pineapple, carrots, coconut, raisins, walnuts, and oil mixture and mix with a wooden spoon until everything is wet and combined. Pour batter into pan and spread evenly. Bake for 35-40 minutes or until toothpick comes out clean. 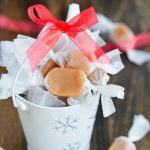 Begin making the caramel sauce right after taking the cake out. In a small sauce pan, heat sugar, butter, buttermilk, and corn syrup over medium. Stir occasionally and once it begins to boil, cook and stir for about 2 more minutes until it barely starts to turn a caramel color. Remove from heat and stir in the vanilla and baking soda. 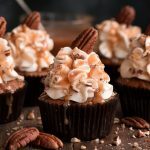 Pour half the caramel sauce over the warm cake (to get it to soak in even more you can poke the cake all over with a fork before pouring on the caramel) and put the remaining in a dish to add to individual servings. Serve with a scoop of vanilla ice cream. 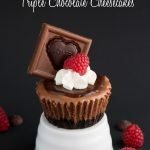 This looks amazing Melanie! Your pictures are so gorgeous, and this carrot cake looks bomb. 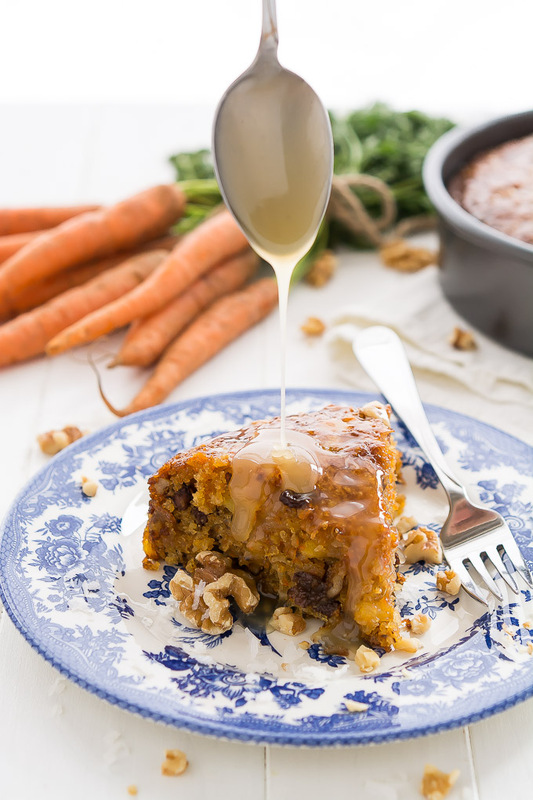 Caramel sauce and ice cream will be making it’s way to my Easter carrot cake! Brittney- It should turn out just fine if you omit the coconut. Happy Easter! wow Melanie you re making me drool, good job on the cake.May ask if you used all purpose flour and do you like Gold medal or King Arthur products? Glad to know I could use the store’s products versus the brands “pain” prices. If it is still tasty I ‘ll use them too . Looks great, could this be made the day before I have visitors. Just made this last night, and it was a HIT. 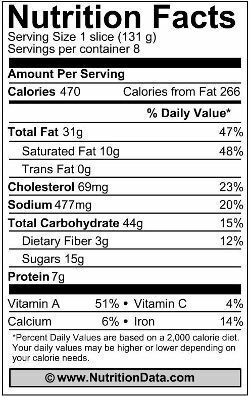 I’m a huge carrot cake fanatic, and I wasn’t sure how this would taste without the cream cheese frosting. It didn’t taste like anything was missing. I already want to make it again. So yummy!